Neck masses are common in adults, but often the underlying cause is not easily identifiable. While infections cause most of the neck masses in children, when an adult has a neck lump that lasts more than one month, cancer needs to be ruled out. 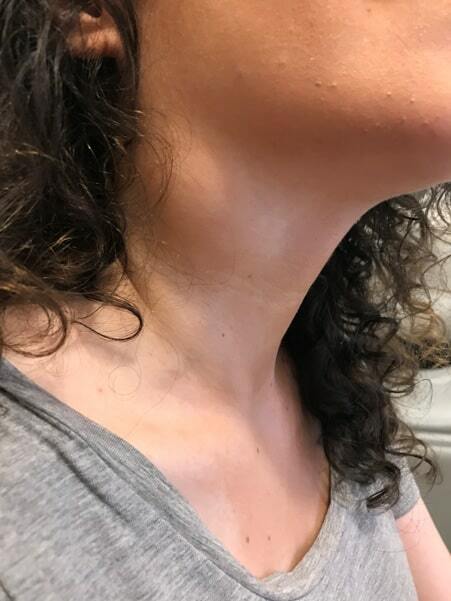 If I have a neck mass, what common symptoms would make it more likely that something nasty is going on? An ENT Surgeon would need to examine you as a first step. Part of this examination will involve putting a little telescope in through the nose to then look at the voice box and back of the tongue. The likely next step would be imaging most commonly with an ultrasound or a CT. Sometimes this will be combined with a biopsy.